IdealShape is a healthy lifestyle change.Their mission statement is to transform and improve lives. IdealShape offers simplest and easiest weight loss solutions that help people achieve their ideal shape. With the help of IdealPlan — a complete weight loss plan — you can learn how to incorporate meal replacement shakes, healthy snack bars, and weight loss drinks into your lives and achieve a healthy lifestyle change. Idealshape products are not meant to achieve temporary success, its products rather help people keep the weight off and change their lives for good. IdealShape makes that possible by providing its customers with the social support and expert advice they need to maximize their results. IdealShape are proven to work and offer delicious and convenient meal plans customized to fit your needs, which you won’t find anywhere else. IdealShape will help you lose weight, not just for weight loss but what that weight loss will do to you. Right now, you might not be where you want to be and you might have tried every other diet programs without any promising result. You might have lost hope when it comes to weight loss. That's why they have introduced an IdealShape plan, a simple fat loss and nutrition plan that will help you create a healthy life without having to starve yourself. This is unlike any gig you tried before. The IdealPlan incorporates their idealshape products into a simple 5 daily meal plan to help achieve your ideal shape faster. And most importantly, it is designed to be sustainable. As part of IdealPlan, you will be using the IdealShake and IdealBar, which are not only delicious but they are also packed with nutrition and include a powerful hunger blocker, Slendesta. It is a protein extract naturally found in white potatoes, and it's proven to curb your hunger for up to 3 hours by by releasing a hormone that tells your brain you're full. Rest assured, IdealShape may help you to find the motivation and drive to achieve your ideal shape. Everyone knows that fact that if we can’t control our hunger and reduce calories, we can’t lose weight. But, your struggle may end here with IdealShake. The IdealShake helps you replace a high calorie meal with a simple and filling 100 calories shake. It makes a perfect face for a delicious smoothie recipe included in the IdealPlan eBook. IdealShake also gives you protein and essential nutritions and Spendesta for powerful appetite control. You can accelerate your weight loss by replacing up to two meals a day with IdealShake. IdealShake comes in 9 flavors that are low in calorie and low in sugar. One serving only contains 100-110 calories and less than 2g of sugar. 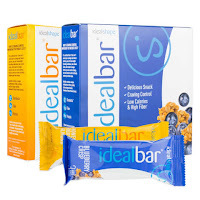 IdealBars are great way to ensure that you always have the healthy snack on hand. The IdealBars gives you a right combination of protein and carbs to give you the energy, along with the benefit of Slendesta for the appetite control. It contains many vitamins and minerals in a low calorie snack. IdealBars are great as on-the-go snack to curb your hunger and keep your weight under control. The IdealBars are convenient and tasty, and will satisfy your taste buds and cravings while helping you control your appetite. It contains a special hunger blocking blend to help you feel full for up to 3 hours. Each IdealBar contains only 140-150 and us packed with vitamins, minerals, and 10g protein, making it an ultimate snack. 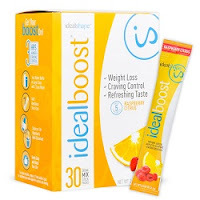 IdealBoost is a refreshing weight loss drink that offers great energy boost as well as a hunger control. IdealBoost is available in small packets and many flavors, and is a great way to boost your day. It is also a good low-calorie replacement to many high-calorie energy drinks you may have got used to. Along with the metabolism-boost through green tea and caffeine, IdealBoost offers Slendesta, which acts as a hunger-blocker and gives you up to three hours of appetite control, making it a great weight loss drink. One serving of IdealBoost contains only 5 calories and zero sugar! It comes in a convenient and portable stick pack. Conquering hunger is a key to losing your weight and that’s where the IdealPlan helps you. IdealPlan is a family-friendly meal plan that provides recipes with IdealShape’s weight loss products. With IdealPlan, you will have everything you need to achieve your weight goal. Ideal Plan comes with 30, 60, & 90 Day options. It includes IdealShakes, IdealBars, IdealPlan eBook and much more. 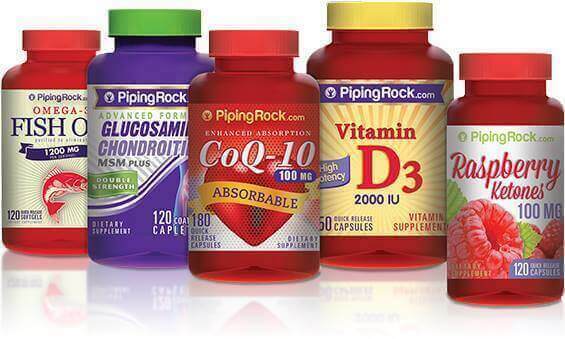 This is a proven plan with proven products which makes your weight loss goal easier to achieve. Watch this video to learn more about IdealPlan. Shop at IdealShape today and enjoy an additional discount through our exclusive coupons to be used at IdealShape.com! IdealShape site-wide coupon YOUSAVE15 Get $15 Off Purchase of $70 Or More!! On Any Purchase!